Our expertise in technical skin care procedures is compounded by our performance of complex and diverse treatments, suitable for all ethnicities and skin types. 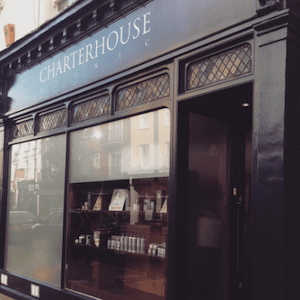 Cutting edge treatments are performed by our Clinical Director and practitioners at our aesthetic medical clinic in London Marylebone, Antwerp and Abuja. We also offer a full selection of bea Skin Care products, which have been featured in numerous publications. Our expertise in technical skin care procedures is compounded by our performance of a complex and diverse range of treatments, including professional-strength skin peels, medical microdermabrasion, dermaplaning, meso thread lifting, mesotherapy, thread vein removal, anti-wrinkle injections, dermal fillers, Nithya collagen injections, vitamin nutrient therapy and skin treatments suitable for all ethnicities. Bianca Estelle and her team treat every skin condition with the latest cosmetic equipment as well as our own brand bea Skin Care medical grade skin care products, which are specially formulated at an FDA approved laboratory in the United States. At bea Skin Clinic, we are renowned for our cutting-edge approach. Our mechanical inventory includes the M2 Turbo Medical Microdermabrasion machine, the Anti-Tear fractional needling device, the Sonishape RF machine, the Oxygen O2 Therapy system and the CryoPen™ skin lesion removal pen. This allows us to offer an extensive and highly tailored treatment menu, which includes Ethnic skin treatments and a number of full body rejuvenation options for both men and women. At bea Skin Clinic, the consultation process is of utmost importance to us; a chance for us to listen to your requirements, familiarise ourselves with your medical history and help you to develop a tailor-made skin rejuvenation plan. For this reason, we offer both online Skype consultations and in-person consultations for new clients, both of which can be booked online. If you would like to get in touch with us at any of our clinical locations in Crawford Street, London, Antwerp, Belgium or Abuja, Nigeria, you may contact us at any time. Bianca Estelle is a Harley Street-trained Skin Specialist, Clinical trainer and Director and IV nutrient therapy practitioner. 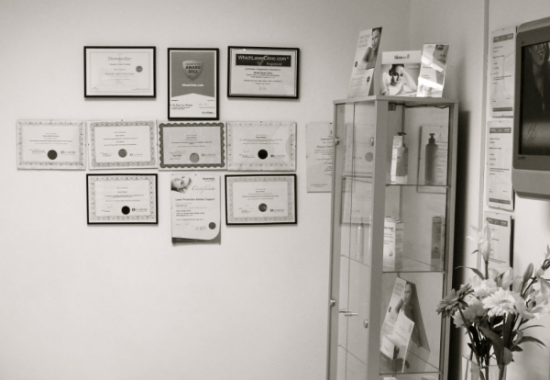 Since launching her skin care career in 2002, Bianca has founded and managed three clinics in Birmingham, Kent and now, London. She's built a loyal clientele including high profile public figures and household names including socialite Lady Victoria Hervey, Calum Best and Nigerian songstress Seyi Shay. Bianca's work has featured in international publications spanning Vogue (Arabia and British), Men's Health and Harper's Bazaar UK as she's successfully built her reputation as a skin specialist with an holistic approach to skincare and wellness. Her passion comes from the desire to apply the benefits of science to everyday skin care, supporting healthy, radiant skin from the inside out and vice versa. As a black woman, she also feels a duty to champion products and treatments which encourage the ethnic consumer to understand and improve their skin in a market which while it's improving, historically has been saturated with products that often overlook their needs. 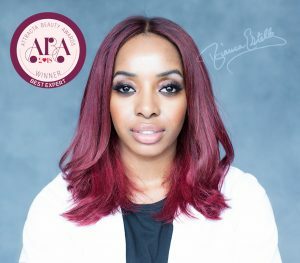 Beyond studying Applied Sciences at University of the Arts London, Bianca achieved advanced level accreditations in numerous cutting-edge skin care procedures including skin peels and laser hair removal, representing several medical aesthetics brands across the UK and Europe. After establishing an international network of clinics, she applied her scientific training to the launch of her own clinics and treatments as well as innovative cosmeceutical product line, bea Skin Care which launched in 2015. The success of her clinics and cosmeceuticals attests to her knowledge, technical skill and experience in the demanding and competitive fields of medical aesthetics and product development. Bianca's ambition is to remain focused on treatment and product development, while continuing to provide the ultimate customer care and experience to all clients and customers, loyal and new. Currently, she presides as Clinical Director in London Marylebone over her medical aesthetics and IV therapy clinics, bea Skin Clinic and Vitamin Injections London, remaining focused on providing an ever-expanding range of treatments and products formulated to radically improve skin health and wellbeing. Olivia is a fully qualified aesthetic practitioner with a strong interest in dermatology and minimally-invasive positive ageing procedures. Utilising professional techniques acquired from her training at Harley Street-based clinics, she possesses a high level of technical skill in the administration of intravenous therapies, mesotherapy micro-injections and chemical peels. Working alongside bea Skin Care’s Clinical Director Bianca Estelle, Olivia has developed a high level of ability in a wide range of rejuvenating injectable procedures. She takes great interest in the health and well-being of her clients, applying the knowledge she has gained over her years of training to her day-to-day practice. Georgia is an experienced Registered Nurse and Aesthetic Practitioner. After completing her training, she went on to practice at the established Kings College Hospital in London and - throughout the course of her career - has pursued a variety of advanced training courses in a wide range of minimally-invasive aesthetic procedures. At bea Skin Clinic, Georgia works closely alongside Clinical Director Bianca Estelle and performs a variety of treatments, which encompass advanced dermal fillers, anti-wrinkle injections, Nithya collagen injections as well as direct mesotherapy injections for the face and body. With more than 11 years in the healthcare industry, Faith Chris-Nzurike joins us as an Advanced Nurse Prescriber who, much like the rest of the bea Skin Clinic team, is passionate about the well-being of those in her care. Faith specializes and is qualified in cosmetic medicine and counselling, weight management and skin health, and has a BSc Psychology degree and a first class honors degree in Psychiatric Nursing. Her skill set and natural ability to understand a variety of conditions and clearly communicate solutions makes Faith a valuable member of our work family. We know our clients will truly benefit from her extensive experience and expertise. WHAT SCHOOL DID YOU TRAIN AT? My education began at one of Europe's best medical aesthetics training colleges, the University of the Arts in London, where I studied Applied Sciences and Beauty Therapy. WHY DID YOU BECOME A SKIN SPECIALIST? I desire to provide an accessible service to ordinary people who want to look their best, and - just as importantly - to cater for those with Ethnic skins. I have always aimed to offer the safest, most advanced minimally-invasive treatments available today, and believe that clients seeking aesthetic improvement deserve the very best level of service from their practitioner. These were some of my primary motivations behind training as a medical aesthetician and setting up my own clinic at a young age. I am proud to have progressed in my career to the extent that I have, and am excited to introduce my specialised treatments and products to an international clientele. I have a number of certificates and awards; for more information, please visit this page. Wearing a good quality SPF of at least 50 every day will be one of the most important anti-ageing investments you'll ever make.